Focusing on September, there are many events around the country. I know I'll be attending a couple here in the Southern Wisconsin & Northern Illinois, so check to details out below. In September, and I mention this ta the top because of my own connection to it, you can join in on the 39th EN World Chicago Gameday (three happen each year). It will take place in Mount Prospect, IL, at the excellent Games Plus gamestore on September 13th, mostly RPGing but sometimes other gaming types. I've scheduled to run an afternoon slot of 1E AD&D from 3:30 pm to 8:30 pm and I am working on the details of likely running a miniatures battle in the morning slot. Overlapping the end of August and into the first weekend of September, Fremont, CA is the place for CelestiCon. Online, beginning September 1st through the 7th, you can also participate in the free Let Us Game Convention (L.U.G. Con). More details are here. September 12 through the 14th at the Masonic Lodge No. 43 in Lancaster, PA, check out Save Against Fear, a fundraising for which there are details here. The Boston Festival of Indie Games takes place on Sept 13 from 10 am to 8 pm in Cambridge, MA. 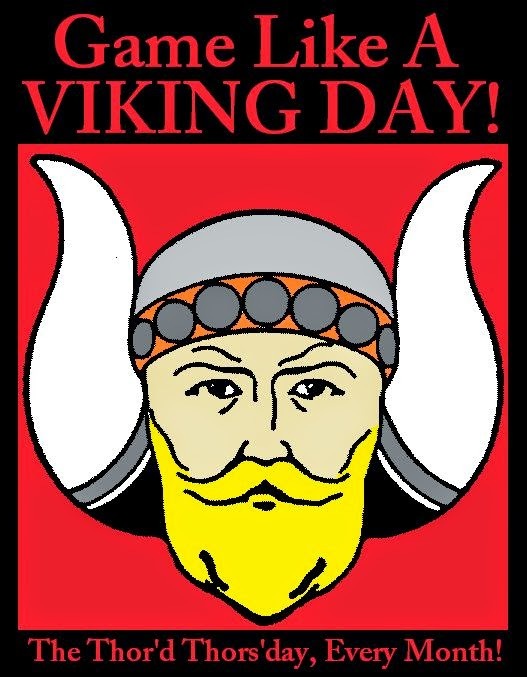 Don't forget that September 18th, the "Thor'd Thors'day" of September, is the monthly Game Like a Viking Day! It's a chance, no matter where you are, to break out your Viking-themed tabletop games and have at it. See more of this ongoing monthly day of fun on the Facebook page here. Sibcon Gaming Convention & Expo takes place from September 19th to 21st in Butler, PA. September 20th, at the Newport Centre, in Newport, Wales, UK, the Dragondaze (one-day) Games Convention raises money for Barnardos Young Carers. September 19th through 21st, at the Buffalo Niagara Convention Center, hosts the Queen City Conquest. The HMGS South is heralding Hurricon September 25-28 with more info here. 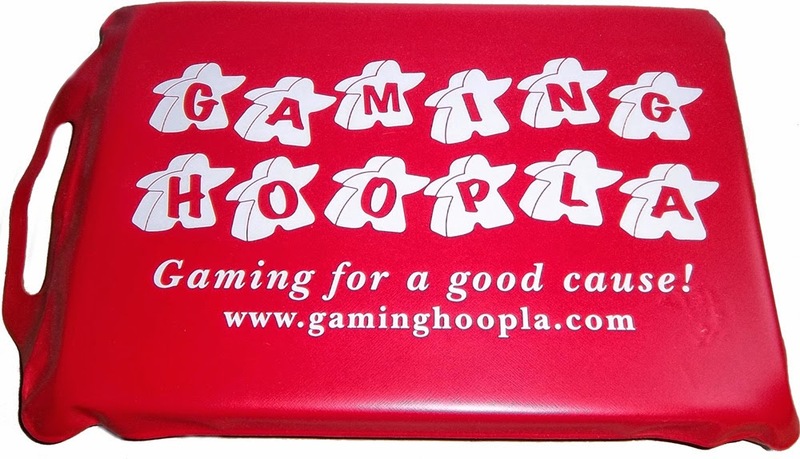 Continuing with September, and of particular interest to me, there is the Fall Gaming Hoopla. It has tons of boardgaming plus a fair amount of RPGs, card games, and some wargames, from Sept 26-28, at the Johnstown Community Center, in Janesville, WI, with more information on their Facebook event here. Their kitchen and excellent menu is always a highlight for me and make it possible to get there early and stay until the wee hours! I've scheduled to run three slots of 1E AD&D for Friday and Saturday at 6 pm - 10 pm (possible to run later), and Sunday from 10 am to 2 pm. In October, from the 3rd to the 5th, it's Xenocon in the Quad Cities with more info found here. Also, check out Con on the Cob, on the 16th through the 19th in Hudson, Ohio, "a Four Day Celebration of Games, Art, Freaks, & Fun!". October 11, 12, and 13th, including Columbus Day, which is that Monday, you can game at Trident Con in Odenton, MD, the details of which can be located here. BobCon happens in Kansas City, MO, and more info is found here. October 24-26 Look for more info, hopefully forthcoming soon, for Dan's Con of the Vale 15 for October in Brookfield, WI. In November, check out U-Con in Ann Arbor, MI, and GameHole Con in Madison, WI. November 7-9 at the Killington Grand Resort, Canage on the Mountain present A Fist Full of Carnage. TsunamiCon 2014, happening November 7th-9th, has hit their Kickstarter goal (and has a few days left to get on board here) and takes place at the Hotel at Old Town in Wichita, KS. The HavenCon Games Day is being held at the Urbana Volunteer Fire Department Banquet Hall in Frederick, MD, Saturday, November 15, from 10 am to 10 pm. The Gaming Association of Southwestern Pennsylvania has monthly gamedays but their annual GASPCon meant to happen in November is still ironing out details. Check out their site for gamedays information and to keep informed for GASPCon here. Some of this information is gleaned from the excellent lists (which you can check for even more event information!) on upcomingcons.com/gaming-conventions, GameConventionCentral.com, HMGS (the Historical Miniatures Gaming Society), and as well as many, many gamers on Facebook and Google Plus, to whom I am grateful for the help in this compilation. Thanks so much and great gaming to you!